Apple remains tight-lipped about its anticipated streaming service, but a major announcement Monday is expected to include details on the company’s new platform. A media event will take place in Cupertino, Calif., and while details remain scarce, there is speculation from industry insiders including CNET, TVLine and Variety that the tech company will reveal specifics on its upcoming TV venture. Last year, Apple said it had reached a multi-year deal with OprahWinfrey to create original programs which would be released worldwide as part of a lineup of original content. It has also joined forces with the non-profit organization Sesame Workshop to include live-action and animated series for its slate of children’s programming. Currently, Apple has a number of productions underway and a lengthy list of stars attached to them. 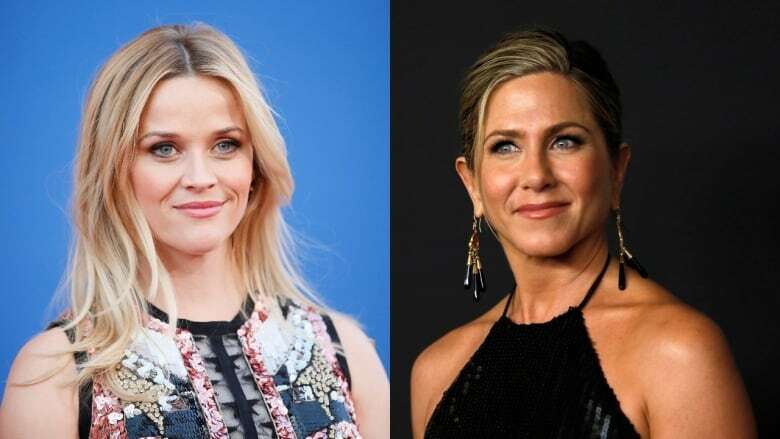 Among them, Big Little Lies actress-producer Reese Witherspoon, is set to star in a series with Friends alum Jennifer Aniston. Silicon Valley‘s Kumail Nanjiani is producing a TV anthology series about the immigrant experience in America alongside his wife, Emily V. Gordon and The Office writer-producer Lee Eisenberg. Some of those familiar faces could be part of the launch. Apple’s latest initiative is trying to gain new ground in a marketplace catering to viewers’ voracious appetite for programming. Staple streaming services such as Netflix, Hulu and Amazon Prime Video are the biggest competitors but not the only ones. HBO, CBS and YouTubeTV have also launched their own platforms. Disney and NBCUniversial are also among those poised to launch their own services in the near future. Apple TV could also work with other streaming companies to upsell their services on its platform. However, Netflix has already confirmed it will not be one of them. There’s still a lot of secrecy around the projects and service itself. Apple hasn’t confirmed whether the streaming platform will have a new name nor whether there will be an additional cost. So far, there isn’t even a specific start date or a global roll-out plan. Since it’s expected the media mammoth will also have options for news in addition to original entertainment content, there could be bundle or tiered options. Much like its previous, elaborate tech reveals, Apple’s announcement will take place live at 1 p.m ET/10 a.m. PT from the Steve Jobs Theater at its corporate headquarters.